British born Paul first developed a passionate interest in psychology as a young teenager after being diagnosed with chronic anxiety and a Social Phobia. Relief took decades after a lot of trail and error to eventually start to overcome this. 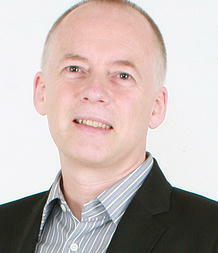 Paul is founder of QEPR (Quantum Emotional & Physical Release). QEPR is a unique combination of ground-breaking modalities that quickly and effectively help his clients overcome a wide range of concerns, either in-person or via Skype; from fears and phobias, general anxiety and stress, to quit smoking or weight loss. His goal is to enable his clients to quickly and effectively overcome whatever emotional or physical concern holds them back. Paul also believes in empowering his clients by teaching simple, yet effective tools and techniques to help them manage any challenge that may arise in the future. He became a therapist in 1996 after studying counselling at Univ West of England. He later certifed as an NLP Master Practitioner (Dr. Richard Bandler/Paul McKenna), EFT Trainer (Dr. Tam Llewellyn/Gary Craig), TFT Advanced Practitioner (Dr. Roger Callahan/Joanne Callahan), Havening Techniques (Dr. Ronald Ruden/Kevin Laye), Rapid Hypnosis and Kinetic Shift (Karl Smith). Paul also has certifiications in Bush flower remedies and Thai foot and body massage. In 2010 he was awarded the prestigious 'AsiaSpa Holistic Treatment of the Year' award - in recognition of exceptional innovation in Asia's spa industry for which he was a pioneer in introducing NLP and 'Tapping' therapies such as EFT and TFT into the international health resort and wellness spa industry. 'Paul is great....it helped me!' Kate Moss, Supermodel & Fashion Icon. Paul is an Amazon bestselling co-author of 'The Soul of Success' with Jack Canfield (and other leading experts), also co-author of 'The Winning Way' with Brian Tracy (and other leading experts). In both books Paul's contribution includes a chapter in part outlining how to successfully perform self-havening to reduce fears and stress. He is also one of the contributors to the Havening book 'Fifteen Minutes to Freedom'. He is one of the sponsors of the TFT documentary 'From 'Trauma to Peace' and has produced his own DVD and online video course titled: 'Freedom from Pain - Today!' which helps people overcome any ache or pain with the use of TFT and Havening, with a bonus section on EFT and NLP. He works internationally and since 2002 he's provided his QEPR treatment at some of the world's top destination health resorts and hotels where he has helped many well-known international celebrities, rock stars and royalty. He has appeared on live TV and radio from Sky and Fox to Qatar Foundation (QF) radio. He's been extensively featured in many international editions of magazines and newspapers from Vogue, Marie Claire and Harper's Bazaar to Woman's Health. Paul has also developed his own popular energy balancing exercise class called 'Emer-gizes' which incorporates elements of self-shiatsu, energy psychology/medicine, Havening and TFT. Contact Paul for an initial free chat to discuss how he can help you overcome whatever concerns you.